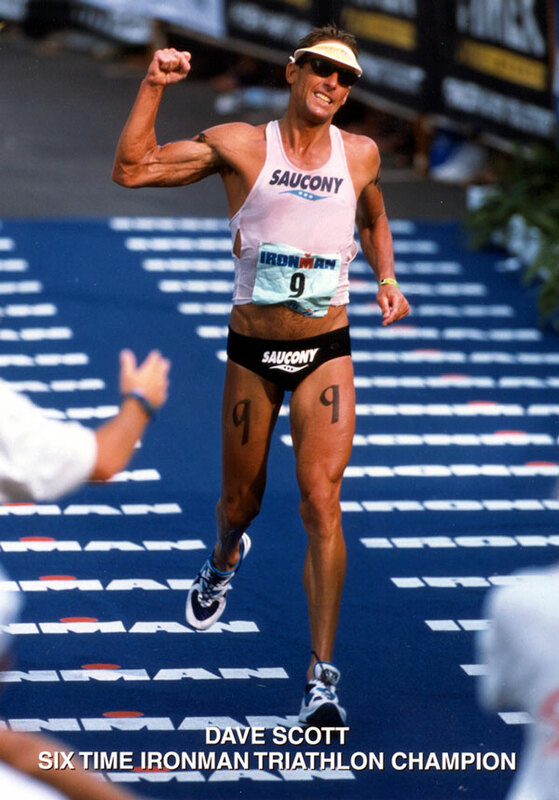 Triathlon legend and six-time Ironman World Champion Dave Scott will be joining us at for both Luray International Triathlon on August 18 and Luray Sprint Triathlon on August 19. Luray will be the only triathlon that Dave does this year! As fundraisers for the United Way of Page County to benefit the local Luray and Page Valley communities, we’re offering several special opportunities for you to meet and interact with Dave on race weekend. 6 AM: Rack Your Bike with Dave* (limited to 5 spots – $200 donation). You will rack your bike alongside Dave’s bike on race morning and will get a low race number from 2-6 plus special gifts from Dave. Be sure to register for the Luray International Triathlon first. Sign up HERE. 8 AM: Start in Dave’s Swim Wave* (limited to 50 spots – $25 donation). You will start in the first wave on Saturday at 8 AM sharp alongside Dave Scott. Be sure to register for the Luray International Triathlon first. Sign up HERE. 5 PM – 7 PM: Luray Triathlon Pasta Dinner (limited to 125 – $20 donation). We’ll feed you then you’ll get to listen to stories and sage wisdom from Dave. Note: This dinner benefits Luray Downtown Initiative. Sign up HERE. 8 AM: Race on Dave’s Sprint Relay Team* (limited to 2 spots – eBay Auction). You’ll have a chance to be on Dave’s relay team with your choice of swim, bike or run. In addition, you’ll get a complimentary 1-hour coaching consultation with “The Man” ($500 value) via phone and some special gifts from Dave to take home. * Note: 100% of proceeds (less payment processing fees) will be donated to United Way of Page County.